The recipient of MedtechWomen’s Ferolyn Powell Leadership Award embodies persistence, passion, dedication to innovation and patients, and commitment to mentoring others and advancing diversity in our field. The award was established in 2015. Ferolyn Powell, a leader in the medical device industry and a mentor to young entrepreneurs, was recognized with the first award posthumously, which was also named in her honor. Surbhi brings a decade of experience in bringing medical devices from concept to market, and as a teenager, personally experienced the negative impact of the lack of definitive diagnostic tools for women’s health. This fueled her passion for developing innovative devices to assist women in making informed treatment decisions. In 2011, Surbhi founded nVision to mobilize her commitment in addressing this unmet need in women’s healthcare. The company was acquired by Boston Scientific in April 2018 in a deal worth $275 million. 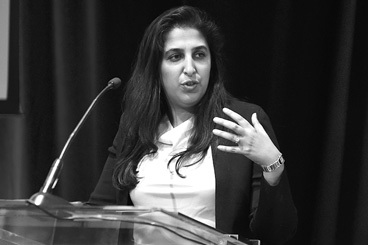 Surbhi Sarna's speaking after receiving the Ferolyn Powell Leadership Award at the MedtechVision 2018 conference in Menlo Park, California. MedtechWomen announced that K. Angela Macfarlane, managing member and CEO of ForSight Labs, has been named the recipient of the third annual Ferolyn Powell Leadership Award at the organization’s MedtechVision 2017 conference. Angela brings broad experience in early stage company development to create a community of innovation focused on improving the lives of the visually impaired. Over the past 12 years, ForSight has incubated six vision companies, including Transcend Medical, Inc. (acquired by Alcon), ForSight Newco II (acquired by QLT), NexisVision (out-licensed), ForSight VISION4, (acquired by Roche), ForSight VISION5 (acquired by Allergan) and ForSight VISION6 (private). 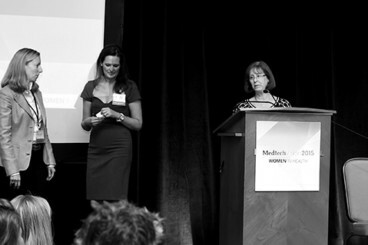 K. Angela Macfarlane receiving the Ferolyn Powell Leadership Award at the MedtechVision 2017 conference in Menlo Park, CA. 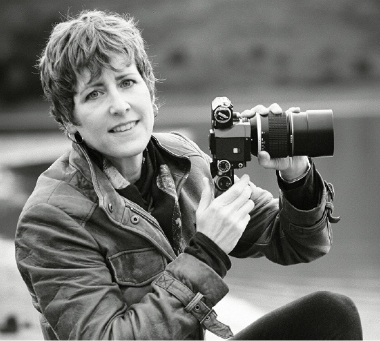 We are very pleased to announce Kim Popovits as the winner of 2016’s Ferolyn Powell Leadership Award. 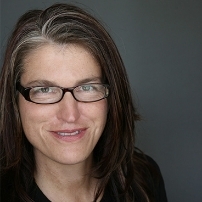 For the past 30 years Kim Popovits has worked on improving the health and lives of men and women worldwide through her career in the biopharmaceutical industry. She currently serves as Genomic Health’s chairman of the Board, chief executive officer, and president, leading a company revolutionizing the treatment of cancer through genomic-based diagnostic tests for breast, colon and prostate cancers. The company’s Oncotype DX tests address the overtreatment and optimal treatment of early-stage cancer, one of the greatest issues in healthcare today. She has also held leadership roles at Genentech as Senior Vice President, Marketing and Sales, and American Critical Care, a Division of American Hospital Supply. 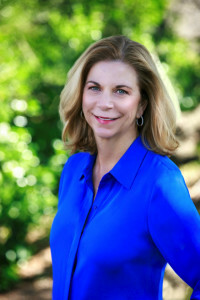 In addition to her community service working with several non-profit organizations, Kim serves on the Boards of multiple organizations including the California Life Sciences Association, the Personalized Medicine Coalition, and the American Clinical Laboratory Association. 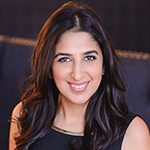 Kim is also the President of The Coalition for 21st Century Medicine, and serves as an Advisor to the Healthcare Businesswomen’s Association (HBA). She is a graduate of Michigan State University. 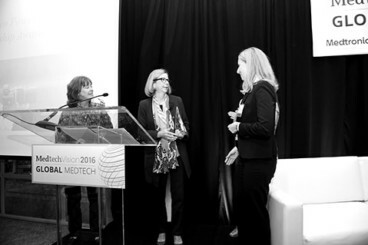 Kim Popovits receiving the Ferolyn Powell Leadership Award at the MedtechVision 2016 conference in Menlo Park, CA. Ferolyn Powell made an indelible impression not only as an individual in her San Francisco community, but also globally, as a business leader and innovator. 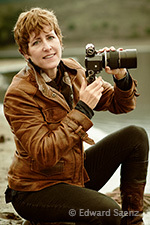 She is best known as president and CEO of Evalve, Inc., a start-up medical device company founded in 1999. Ferolyn oversaw the development and commercialization of the MitraClip® System, a breakthrough technology to repair the leaky heart valves of patients with mitral regurgitation, a common heart condition, without invasive open-heart surgery. At the helm of Evalve, Ferolyn successfully led the effort to take the MitraClip device from concept to product, and through multiple rounds of venture-financing that led to the final acquisition by Abbott Laboratories. Ferolyn was thrilled to have shared this accomplishment with her sister Liz McDermott, who led the clinical and regulatory teams at the company. Ferolyn then joined Abbott as divisional vice president and general manager of a newly-formed structural heart unit where she began a four-year quest to gain FDA approval to make the MitraClip device available to U.S. patients. The MitraClip device was approved by the FDA in 2013. Today, the MitraClip therapy remains the only minimally invasive therapy available for treatment of mitral regurgitation in the United States. One of a handful of women CEOs, Ferolyn was generous with her time, mentoring young entrepreneurs through the Stanford Biodesign Program. 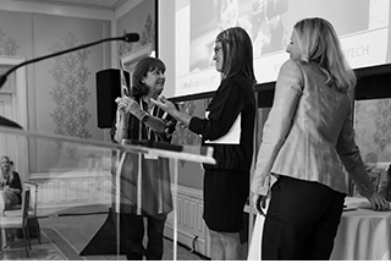 First annual Ferolyn Powell Leadership Award announcement at the MedtechVision 2015 conference in Palo Alto, CA.